This year the European Business Summit is arriving at a pivotal time. Within the difficult global context and internal challenges arising for European leadership, it is important to have a discussion focusing on the idea of how Europe can come together as a strong leader. Arnaud Thysen, Director General for EBS states, “EBS is proud to provide the forum for frank and open dialogue between EU institutions, business representatives and organisations investing in Europe. Supported by its strategic partner, Tata Consultancy Services (TCS), a global leader in digital transformation, the European Business Summit 2018 is expecting to attract over 2,000 participants and 200 high-level leaders including European Commissioners, Cabinet Ministers, MEPs and CEOs from across Europe. The forum, which has emerged as the foremost platform for public-private dialogue in Europe, will examine: “Leading in A Changing World: Europe at the forefront of global economic, social and political change”. During the two-day event participants, high-level business and policy experts will discuss key issues such as youth engagement, digitalisation, artificial intelligence, circular economy, sustainable development goals and e-commerce, among others. This year TCS will also bring a delegation of young entrepreneurs from across Europe to engage with decision makers at the forum. It is also holding a special meeting for Members of European Parliament to deliberate on the opportunities posed by technological evolutions in Artificial Intelligence. Amit Bajaj, CEO of Tata Consultancy Services Europe said: “For Europe to take on a worldwide leadership role, the private and public sectors need to come together at forums like EBS. Day one of the event will see the Vice President of the European Commission launch a special EBS report envisioning Europe's future role in the world, featuring essays from a select group of 20 global leaders. 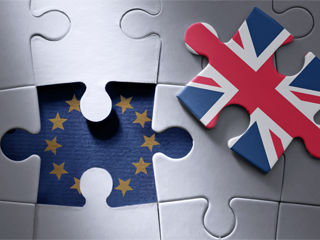 Essay authors include Jean-Claude Juncker, the president of the EC; Nicola Sturgeon, First Minister of Scotland; Kersti Kaljulaid, President of Estonia; Kristalina Georgieva, CEO of the World Bank; and N. Chandrasekaran, Chairman of Tata Group. The event will also see the launch of a special report conducted by ThinkYoung and supported by TCS that explores what the EU can do to help European start-ups scale up globally. The report draws on the experience and first-hand accounts of young entrepreneurs, who have founded start-ups in 12 European countries. 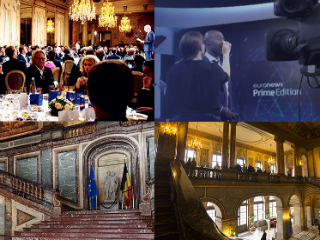 In addition, the event will play host to the inaugural European Leadership Awards. The ceremony will take place during the Business Leaders’ Dinner on 23 May, and will be broadcast live by Euronews. Nominees include President Macron of France, Chancellor Merkel of Germany, Boyan Slatt the founder of The Ocean Cleanup and Commissioner Margrethe Vestager, among others. Finally, as a part of the European Business Summit this year, we are pleased to include CSR Europe’s SDG Summit. The programme will focus on transforming markets through partnerships for the UN Sustainable Development Goals. The SDG Summit will include a series of roundtable sessions including ‘Renewable Energy and the Road to Carbon Neutrality’, ‘How to Empower Youth for the SDG’s’, and ‘How to integrate migrants and refugees into the workforce’ among others.